The calories in crab cakes will vary depending on preparation. If you want low-calorie crab cakes, make them yourself instead of ordering them from a restaurant. Stick to one or two crab cakes to keep calories under control. 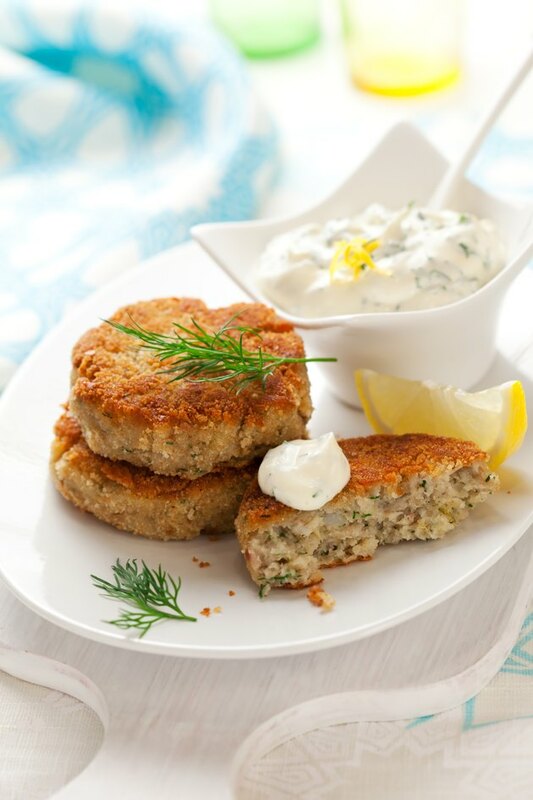 Crab cakes are a dish made of crab meat and various other ingredients, such as butter, onion, salt, eggs, Worcestershire sauce, paprika, black pepper, tartar sauce, bread crumbs, celery, parsley, mustard powder or garlic. They can be deep-fried, sauteed, baked or grilled. A recipe for baked crab cakes at AllRecipes.com lists the calorie count for one crab cake at 92 calories. One crab cake will contain 4.1 g of fat and 35 mg of cholesterol. Another recipe on the AllRecipes website lists the calorie count for one crab cake at 409 calories, with 31.6 g of fat and 71 mg of cholesterol. To save calories, bake crab cakes instead of frying. Flavor with mustard and lemon zest and use low-fat mayonnaise, recommends "Top Chef Master" veteran David Burke. Use lots of crab meat and minimal mayonnaise.